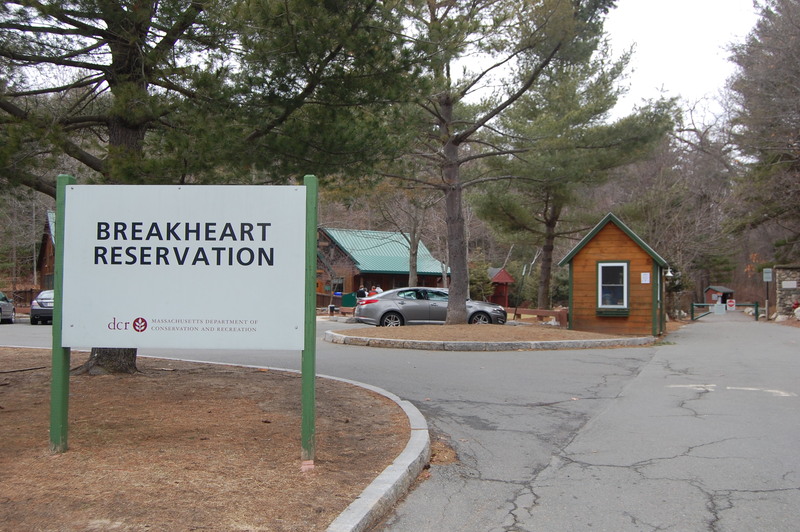 Breakheart Reservation - Saugus - Take a day trip! Swimming Area at Pearce Lake in Breakheart Reservation. for everyone to fairly strenuous hikes through the woods to the tops of the hills in the reservation. Swimming: Breakheart Reservation has a swimming area on Pearce Lake. Dog Park: There is a fenced off-leash area exclusively for use by dogs and their owners. 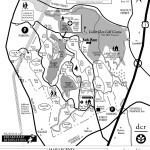 Golf: 9 Hole Cedar Glen Golf Course borders Breakheart Reservation and is one of the closest courses to Boston. Fitness Area: Breakheart Reservation has a outdoor fitness area with fixtures and guides on how to use them near the visitor center. 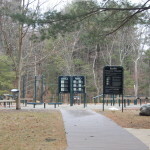 Fitness area at Breakheart Reservation. closed to vehicular traffic and are great places to enjoy on a bicycle and some of the off road paths are also ideal for bikes. Mountain biking is not allowed on single track trails in the park. 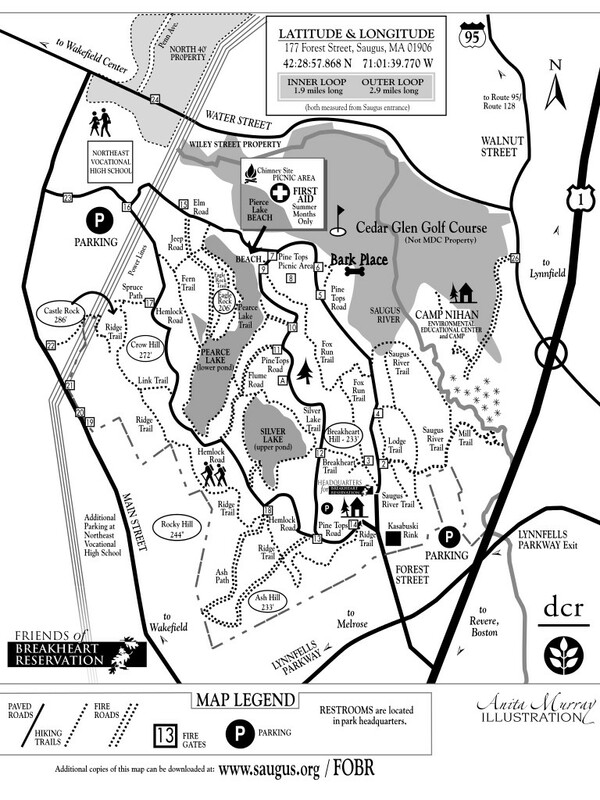 Amphitheater: There is a small outdoor amphitheater near the visitor center. 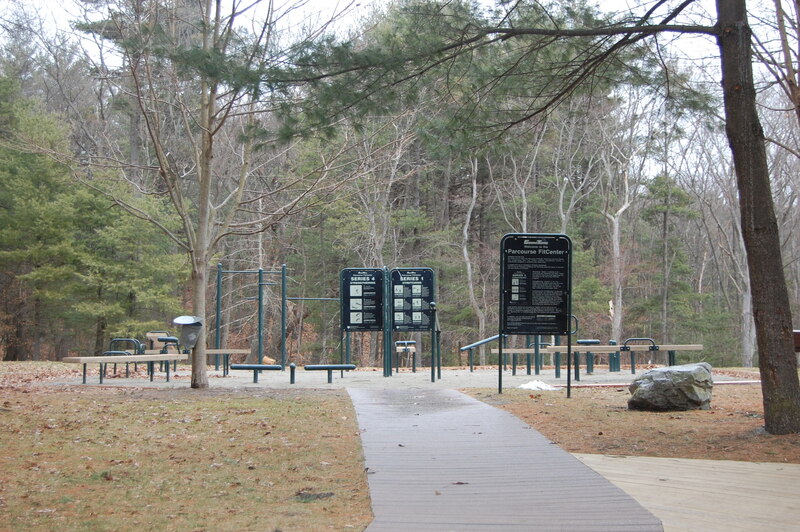 Playgrounds: There are several playgrounds throughout the reservation. 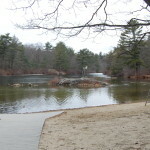 Fishing: Fishing is allowed with a state permit in both ponds in the reservation. 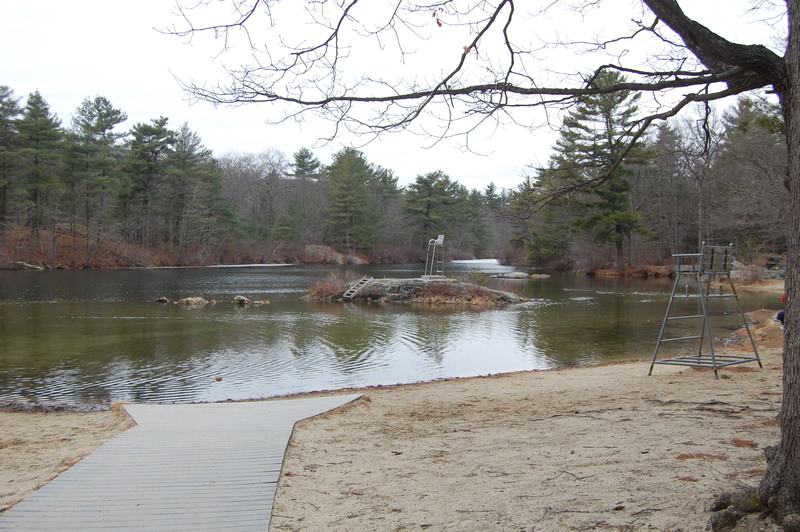 Group Picnic Areas: There are several covered outdoor picnic areas sprinkled throughout the park. Interior of the Christoper P. Dunne visitor center. 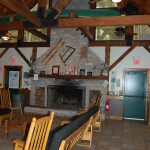 Visitor Center) has restrooms, a water foundation, a sitting area and some exhibits about the local flora and fauna. 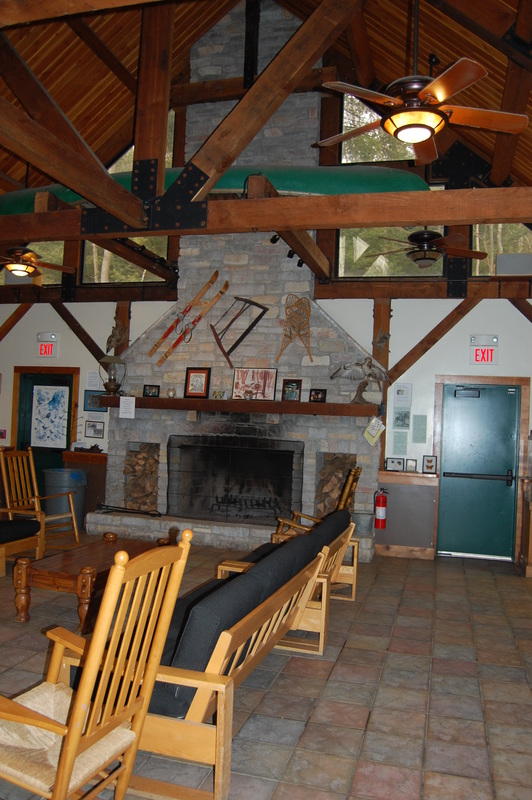 The visitor center and many features of the park are handicapped-accessible.